Safe Mode helps identify any issue that interferes with Elementor loading. In most cases, loading issues are caused by conflicts between plugins or themes. 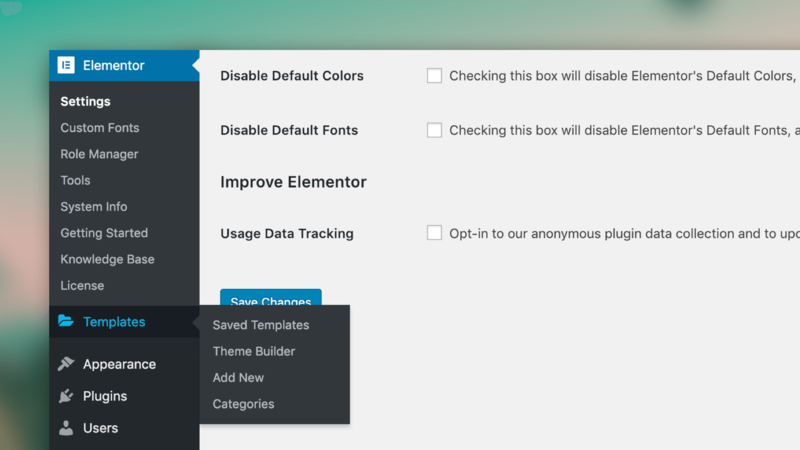 Using 'Safe Mode' opens the Elementor editor on a clean version of WordPress, without loading a theme or any plugins. All plugins are deactivated and an empty theme file is loaded. 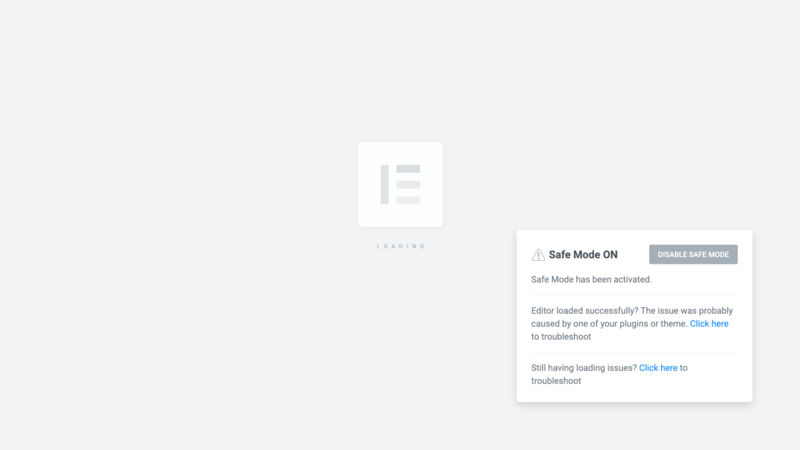 Note: Safe Mode only affects logged in users while they are using the editor, and has NO effect on your site visitors or other logged in users. For them, the site will operate as usual, with the regular theme and plugins activated. In the past, certain upgrades required database changes to occur behind the scenes. For larger sites, this posed a problem which sometimes caused timeouts. With the new Async Database upgrade system, we split the DB updates into chunks that run in the background in order to avoid these timeouts. Many support issues can be identified by following the PHP log file. By adding this log to the System info, we can empower our users and support staff to better understand the issue at hand, its root cause and relevant solution. Until now, Elementor did not support the WordPress <!--more--> tag, which helps determine the preview text that is shown for blog posts in archive pages (not built using Elementor's archive template). While this is not commonly used on modern themes, it provides backward compatibility for this functionality. We've added a Read More Widget for Themes that Support This Feature. Following the previously mentioned feature, you can now add the ‘Read More’ widget to your posts, to set the text cut-off point in archive pages. Note: This widget only affects themes that use the_content in archive pages. We’ve added the maximum flexibility for responsive design. The new version of Elementor lets users have complete control over the background and border design on desktop, tablet and mobile devices. 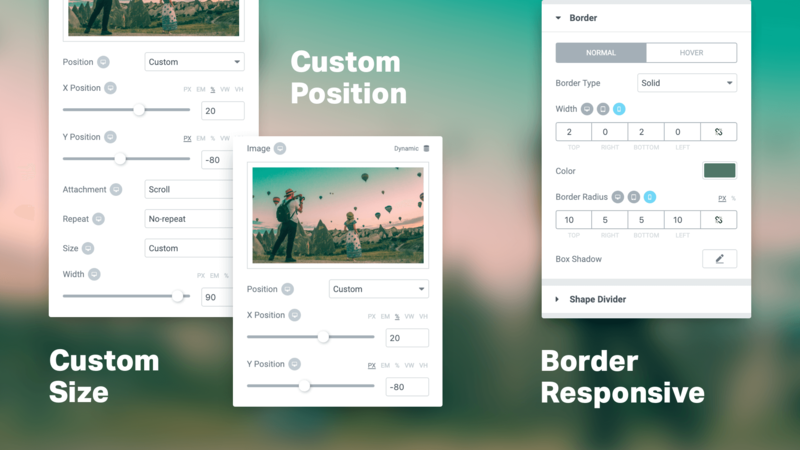 This control includes device-specific settings over background controls (image, position, attachment, repeat, and size) and border controls (border-radius and width). You now have much more control over the background design. We are now adding two new custom controls for the background size and position options. With custom position, you can manually set your desired background position on an X & Y axis. Instead of setting a general position like 'Top Left', you now have the option to set the exact point that the background will align to. Besides position, you can also set custom background image size. Choose ‘Custom’ and set an exact width for your background image. To make it easier to handle the different Elementor dashboard screens, we’ve separated the previously named ‘My Templates’ menu and renamed it as ‘Templates’. We’ve also positioned the Elementor & Library side menus higher up on the dashboard, to make it more accessible. Now you can add different categories to your templates, making the workflow more efficient and better organized. Simply group templates by relating them to the desired category. In the new version of Elementor, you can Quick Edit saved templates in order to instantly edit the template name, slug, status and categories without hassle.